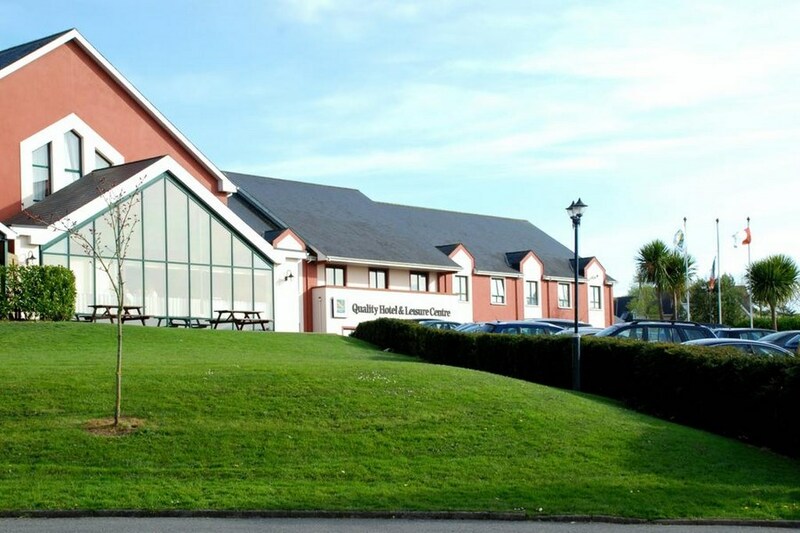 The Hotel is located in the heart of wonderful West Cork and is the ideal base for touring this scenic and historical region and Kerry too. You can walk to Clonakilty Town Centre within 10 minutes and a 5-minute drive will bring you to the wonderful Blue Flag beach at Inchydoney Island.. The Park Cinema offers Adults and Children alike a variety of new release films to enjoy with Dolby surround sound in their multi-plex cinema. With the latest showings every evening and matinees on the weekend, youll find there is something everyone whatever the weather. Inchydoney Beach, which at one time was an Island is situated 4.5km from Clonakilty. The beauty of The Island, as it is still known locally, with its magnificent beaches divided by a promontory known as The Virgin Mary's Bank has been appreciated by many over the years, and inspired the poet Callanan. Also Visit the Near By Dunmore Golf Course. Cork Model Railway Village - The first of its kind in Ireland, experience the sights and sounds of life in West Cork during the 1940's. Situated beside picturesque Clonakilty Bay. The Model Village depicts in miniature, life and industry in West Cork as they were 50 years ago. The theme is enhanced by the miniature working railway. In addition to the model village, the Tsu Tsu is an old style train that travels around the town at different stages during the day picking people up at the Hotel & Leisure Centre, on its travels to explore the town of Clonakilty and Inchydoney. A perfect for spot for a family break! 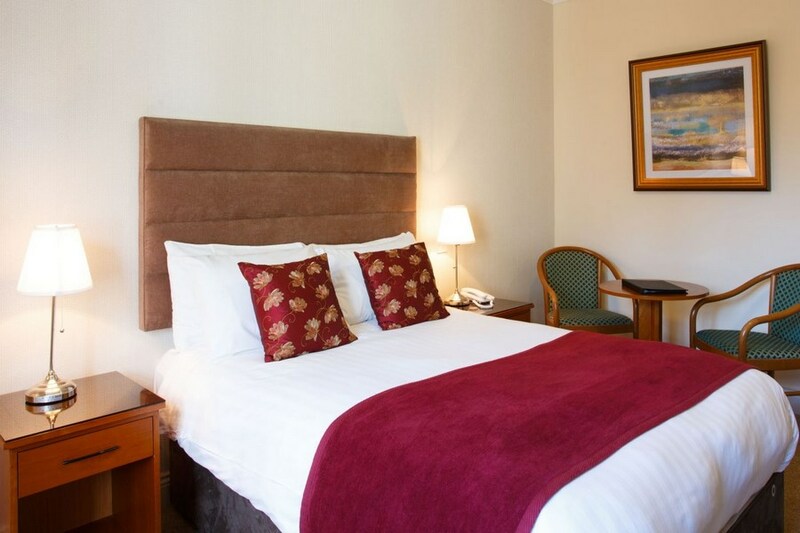 Excellent hotel in every way, excellent location, friendly and helpful staff, clean large rooms, fantastic breakfast with a huge choice, lovely leisure center and also cinema. Would highly recommend this hotel for families or couples. Very enjoyable stay with excellent food. no complaints, perfect for families, so handy there is a fridge in the room. I love this hotel for a break away,the food is great,breakfast is till 11am and the pool is fabulous.The rooms are nice,well furnished and everything you need in them,ready to go back at the drop of a hat! Perfect hotel for families. Excellent staff, great facilities and good bar food. Highly recommend for a family trip away. Bedroom and bed very comfortable, but switch on one bedside lamp not working. Central heating rather meagre for a November night, albeit not a specially cold one. In en-suite bathroom - already repaired shower/bath water 'switch' was broken. Wi-fi good. Staff all very courteous and helpful. As to Dinner - seafood chowder was good, but rest was dull and heavy. Food for Breakfast was good average but coffee was cold and some distance from fresh. Really enjoyed our stay here, only pity was that our stay was so short (3 nights). Would recommend the Quality Hotel in Clonakilty to anyone. Michael+Ann Ennis. Stayed for two nights as we were attending a wedding near by. The hotel is a little dated, but was fine for the purpose we required. Room had a fridge which is great. On entering the room, we only had one cup even though we had booked a double, but I got this rectified by going to reception. I do think, this should have been checked when prepping the room. Breakfast was good, didn't eat in the bar as we were not there long enough. Bar is dark enough, not very inviting. I settled the bill the afternoon before we had to depart, as we needed to be out of the hotel early and didnt want any delays, only to get back from the Wedding we were attending to find both of our cards were no longer working. This again got rectified when I went and called the night porter, but was disappointed as we wanted to just get straight to bed before our long journey the next morning. Could not recommend this hotel highly enough for a family break the facilities are fantastic and the staff are brilliant. Rooms are big enough for a family of 4 and the bar food is very good. This hotel is ideal for a family stay. The pool is great as is the playground if the weather is dry. We made use of the cinema as we arrived on a very wet day. The buffet style meals for kids was great for us as my children hate waiting for their meals and the buffet had a good choice including mash potatoes and veg so not just chips and sausage. Although the evening entertainment may not appeal to everyone again I felt it was great for the kids and they were singing and dancing away so we could sit back and enjoy them and have a drink! Overall an ideal family hotel. we enjoyed our stay at the quality hotel,the staff are very friendly,the food is very good,the rooms are spotless,the leisure facilities are great ,the bar is lively.this is my third stay this year,we are going back again in two weeks time . Lovely hotel and staff. Enjoyed our stay. Close to town and beach. will stay again !! My partner and I had a fantastic stay here last weekend. The staff were wonderful, and the food and facilities were very impressive. I'm very glad to recommend the Quality Hotel and am looking forward to a return trip soon. Had a lovely one night stay here, Room was great and food was great , did not use other facilities but a great place to stay. Very comfortable clean room with plenty of amenities on site such as leisure centre and cinema. The €77 was excellent value for money considering the breakfast was so substantial as it was buffet style self service. Ate our evening meal in Oscars bar which was good pub grub value. I would recommend this hotel to families, young at heart couples and small groups. We really enjoyed our weekend break at the Quality recently. The room was comfortable and warm, and extra pillows were provided almost immediately after asking for them. Breakfast was excellent, buffet style and catering to all tastes. While geared towards families, there was no noise in the corridors during the night, which is a big plus for me. 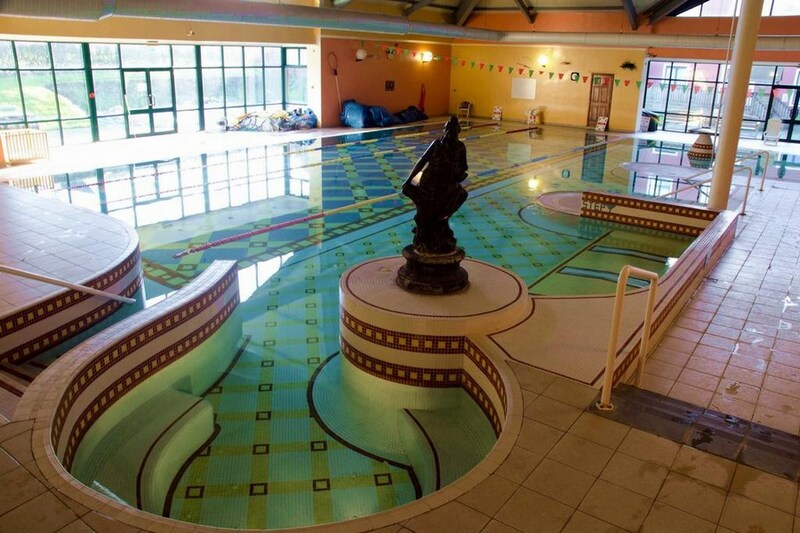 Having the use of the leisure facilities makes this a very good value package, especially with dinner included. Stayed for mini break with family. Absolutely fab. Hsd everything we needed to enjoy our stay. The restaurant is top c ladd. Amazing food and very friendly and helpful staff. Great family hotel. Friendly, helpful staff, good entertainment and plenty to keep children entertained too. Very pleased with the restaurant. We really enjoyed our stay in Clonakilty. The playroom for the kids was great and the food in teh restaurant very nice. Staff were extremely nice and helpful.Food was very good . Family friendly hotel and staff all our children ages 10, 6 and 1 had a ball Would definitely return and recommend the hotel to anyone. Our stay in the hotel was one of the best we have ever had in any Irish hotel. The staff were so friendly, food was excellent and the room and the general hotel was spotless. Really enjoyed the time we spent there. I cannot recommend this hotel enough if you have kids. They cannot do enough for you and your kids. With a supervised play gym means you can have your dinner in peace while the kids play . It might not be classy enough for a romantic weekend. The food is good enough, ideal menu for kids. Usually has music in bar. Really enjoyed our 3 Night stay here recently, ideal hotel for kids, staff very pleasant and helpful! Only issue i had was with the dinner included the staff didn't seem to know how to use it, we wanted to pay the difference in cash but they were unsure what to do and the deal was for 2 courses, the restaurant and the bar taught it was to the value of 25e but it was to the value of 20e it all got a bit confusing! Hotel rooms were clean and comfortable. Food was lovely. Kids loved it. I'd definitely recommend it and i will be returning! My husband and i stayed for 2 nights. If your looking for cheap and basic you found it. Room was fine and pool nice. Staff friendly.Restaurant service boarding on appalling and food quality poor to average. Woundnt go back. But seems a fun place if you have kids. Lots of activities for them to do. excellent hotel i have 2 kids and they loved it the food was excellent aswell we will definetly be going back. Would highly reccomend the quality in Clonakilty for anyone with children as it has great facilities. We booked out a day early due to one of our children been sick and they only charged us for one night. For that alone i would definetly go back. Nice hotel in a great location. We were attending a wedding in the locality so it was very convenient and good value. The weather was absolutely beautiful so that was also a bonus. The staff were great and very helpful as we had a problem with shower but it was sorted almost straight away. Breakfast was excellent. I dropped the one star as there were a lot of children in the bar area on the friday night eventhough it was quiet late otherwise I would have no problem staying there again. Lovely room, pleasant staff and excellent self service breakfast. Close to Inchadoney where we attended a Wedding. Great beach. Stayed 2 nights & had B&B with 1 dinner included. We had one infant (18mths) with us and the place is well geared for families. It was packed considering it was off peak after the school holidays. Place had a great vibe. Facilities cater for all but have plenty to keep the small ones happy with an outdoor secured playarea, pool, indoor soft play area and an internet room for older kids. We didnt use the indoor soft play area but had a look in the window and it appeared well equipped. The outdoor area had some slides and timber play houses which could probably do with a lick of paint at this stage but our little one didnt notice! We had breakfast and dinner and couldnt fault the food. We had a double and single bed in the room however we had also requested a travel cot and this was all set up for us on arrival. Travel cot was dressed with a mattress so out small one slept no bother. Even though it was busy we hadnt much problems with noise. There was a hen party and rugby team staying and as our room faced onto the carpark by the smoking area it was a but noisy but nothing too bad that we had to complain and they soon moved on again. The bar and dining areas are very child friendly, there were plenty of kids running about late in the evening but they didnt make any noise in the corridors so there is no problem that way. The hotel is located just outside the town and near the minature railway village and Inchidoney beach. I would no problems staying here again and would recommend it to anyone travelling with family or not. We had a lovely time in Clonakilty. First of all the weather was on our side. We had a complaint with our room but it was sorted very quickly. The food in the Restuarant was lovely. Breakfast was really busy but it was well managed. I would say the hotel is aimed at families only, not really for your romantic getaway!!! We will definately return with the Kids as we had a good look at the facilites and our kids would love it. The Staff were great all really nice and helpful. Thanks for a great weekend. We has a great time. Great food great for families !